Hudson's Bay has a lot of sales on now! 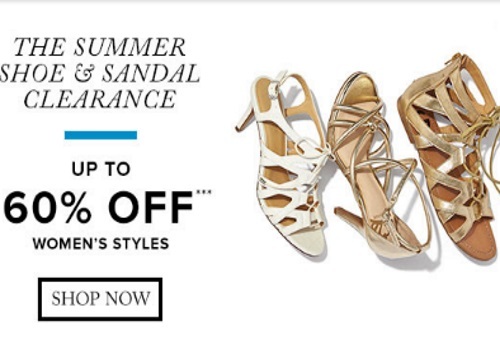 One of the best is their Summer Shoe & Sandal Clearance! Save up to 60% off Women's styles! Plus save an extra 20% off with the promo code WEEKEND on women's fashion and shoes for her and him.